Alan Murray has appeared extensively in solo and chamber music recitals and is increasingly in demand as a concerto soloist with symphony orchestras. He performs under the auspices of Arista International Music Enterprises, based in New York. Mr Murray's professional career has been in global financial services, most recently as member of the Financial Institutions Group management team at Moody’s Investors Service in New York, where he long oversaw operations throughout Latin America, and held portfolio responsibilities in the US, Bermuda, Canada, Europe and the Asia-Pacific regions, prior to which he was a member of the corporate actuarial team at American International Group. He resides in Westchester County, New York with his wife Amada, daughter Celia, and cavalier King Charles spaniel Lizzy, where they also own and operate a specialty bookstore, Galápagos Books. Mr. Murray began his musical studies with Frances Wazeter and Allen Weiss, and his long-time performance coach is Robert Preston, concert pianist, photographer and chamber music collaborator with the finest of his generation (www.robertpreston.com). 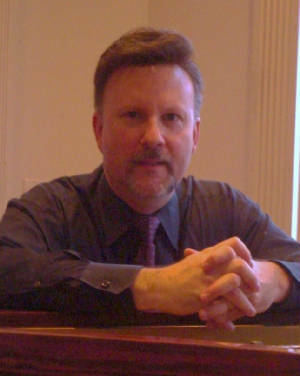 Mr. Murray holds a degree in theoretical physics and languages from Cornell University, where he also received a special University Award for distinguished piano soloist. Studio Hollywood, based in the Rivertowns area of lower Westchester County, named for the street on which it's located, and just a 15 minute drive or short scenic train ride from Manhattan, is a modern multi-purpose performance space, available for private use including recordings and performances. Surrounded by an idyllic natural setting with ample natural lighting, the studio features magnificent and carefully maintained vintage Steinway D (concert grand) rosewood and Steinway B flame-mahogany pianos, as well as 850 sq ft (37'x23') of sound-insulated studio space with high ceilings, beautiful natural hardwood flooring and trim, and comfortable seating for up to 50 guests. The studio opens up to the surrounding stone-terraced gardens, fish pond and gazebo, and is wheelchair-accessibile from the street. Since inception in 2010, Studio Hollywood has hosted over 80 musical and multi-media events and is available on a privately-negotiated basis for use by visiting artists and performers. Additional detail on the studio facilities, including seating capacity and charts, is available here on The Studio tab.